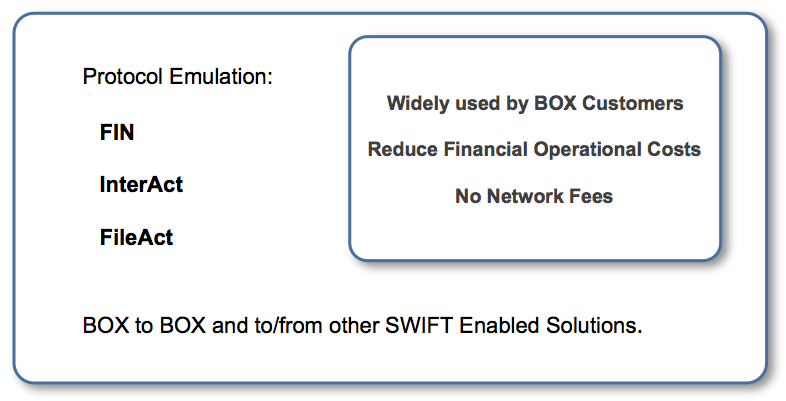 BOX-Link can be used to transfer messages and files from BOX to BOX and to/from other SWIFT enabled solutions without using the SWIFT network, and thus saving transmission costs. BOX-Link provides a full emulation of SWIFT traffic. BOX-Link is widely used by BOX customers to reduce financial operational costs as no network fees are charged.